Eventide Heartland’s short term therapy services help patients recover from surgery, injury or serious illness. Our expert team of therapists, through Altru Health, work toward the specific goals of achieving the patient’s highest functional level of independence. 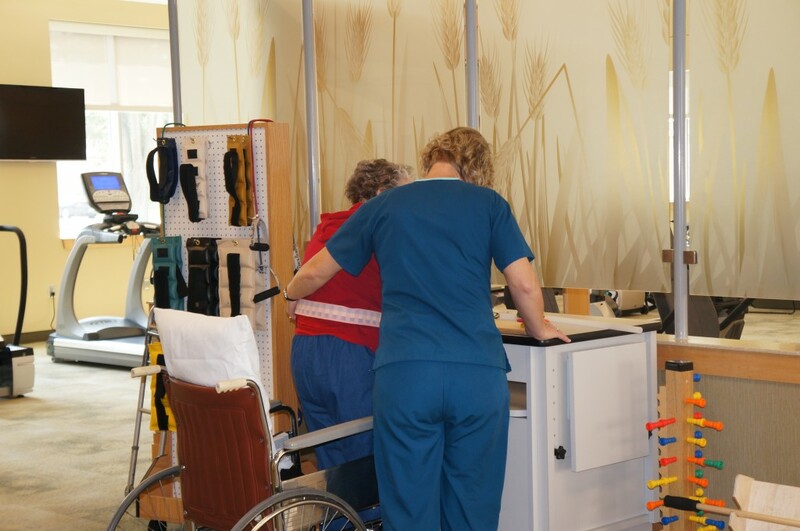 The term “short-term rehab” refers to specialized transitional care provided after hospitalization and before the individual is able to resume living independently. Short-term rehab might follow hospitalization for major surgery, or after significant injury or illness. You can expect to find continuing medical assistance, help with daily living tasks, emotional and psychological support, and rehabilitation services — all in the interest of recovering independence. Self-manage dressing, eating and personal hygiene. Our licensed nurses, therapists, and nursing assistants work as a team to provide physical, occupational and speech therapy that enables our patients to recover at remarkable rates. Key to the treatment plan is continuity, as the individual moves between levels of care – from more dependent to greater independence. The length of stay in a transitional care setting is likely to be measured in weeks, not months. For more information on Eventide Heartland’s skilled nursing and short term therapy services, please contact Lisa Crosby at (701) 662-4905.